Future Shares Video for "Rocket Ship"
After "Jumpin on a Jet" ahead of releasing his new album The WIZRD last week, Future has now rolled out a video for "Rocket Ship." 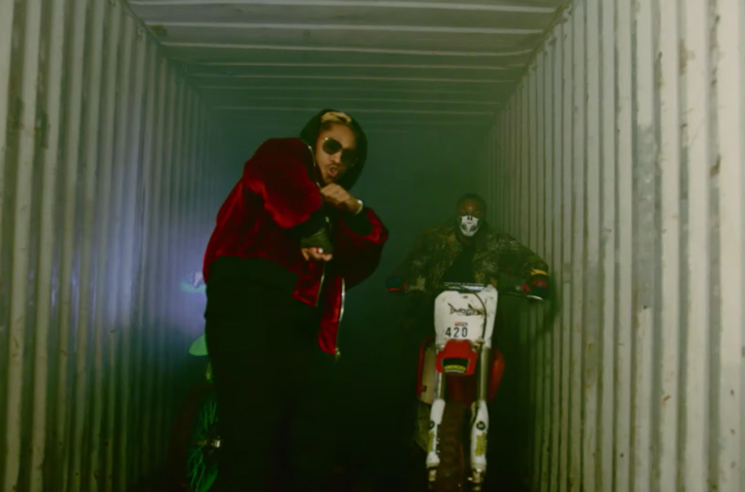 The clip finds Future dancing and delivering his bars in darkened streets, occasionally cutting to the rapper posted up inside a shipping container, ready to ride with a couple of crewmates on dirtbikes. You can watch the clip for "Rocket Ship" below.